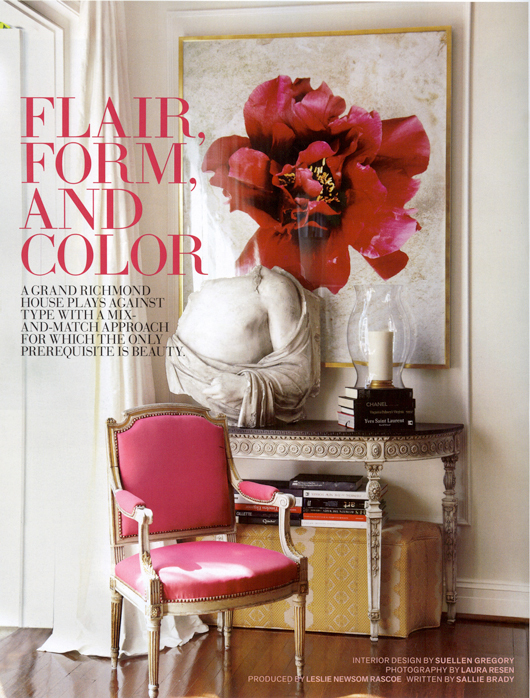 We are in the August 2012 issue of Veranda! This is so exciting for us – it is a house very dear to our hearts – a wonderful, lovely historic home here in Richmond. We just love how the photos and story turned out. They sent us an amazing photographer Laura Resen. You can see more of her work at www.lauraresen.com. All of this would not have been possible without the help of the wonderful people in Richmond that I am lucky to work with everyday (plus a couple of amazing North Carolinians)! I will publish more of this wonderful project on my website this fall……stay tuned! 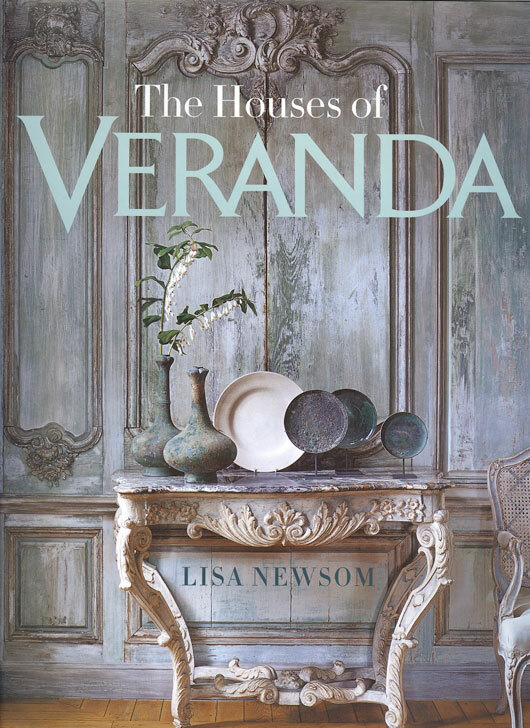 Veranda is just such a wonderful magazine – I have issues dating back to the beginning – and I love Lisa Newsom’s book The Houses of Veranda – if you haven’t bought yours – go and get it – it is a treasure! 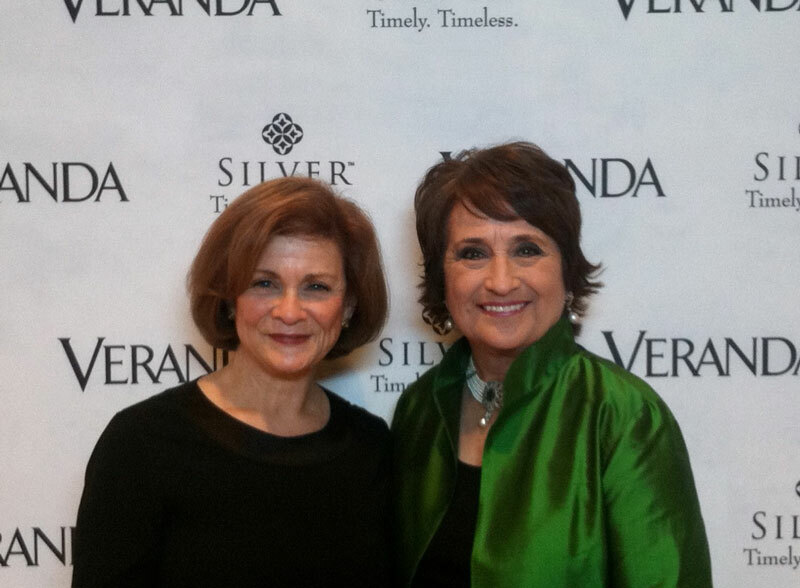 It was such a treat to meet her daughter Leslie – who came to do our story. What a talent! And a sweetheart! 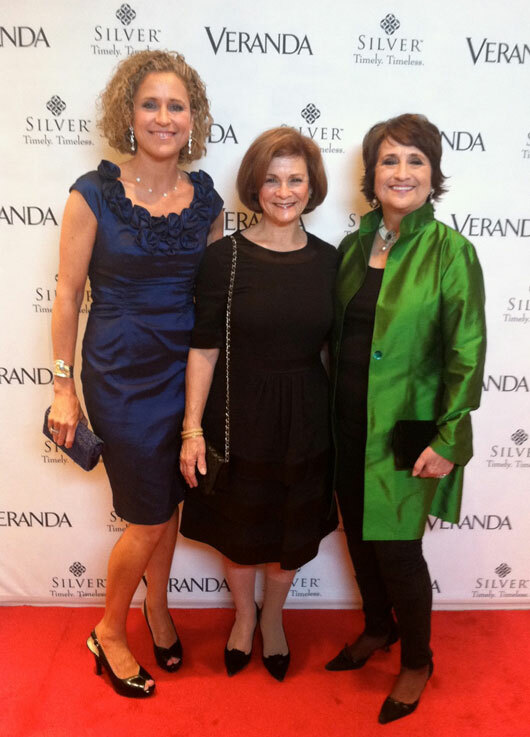 I was fortunate to go with them to the Veranda 25th Anniversary Party at the Four Seasons Restaurant in New York in March. What an event! A designer’s dream come true! Here I am with darling Lisa Newsom! And here we are with Leslie! This entry was posted in Blog on June 21, 2012 by Jen.